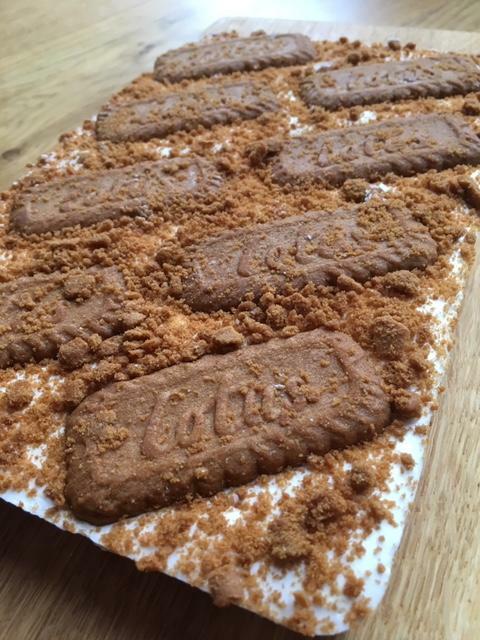 Biscoff - Vanilla bean marshmallow, topped with rows of caramelised Lotus Biscoff biscuits, this slab provides everything you need to provide the ultimate dunk for your afternoon cuppa. 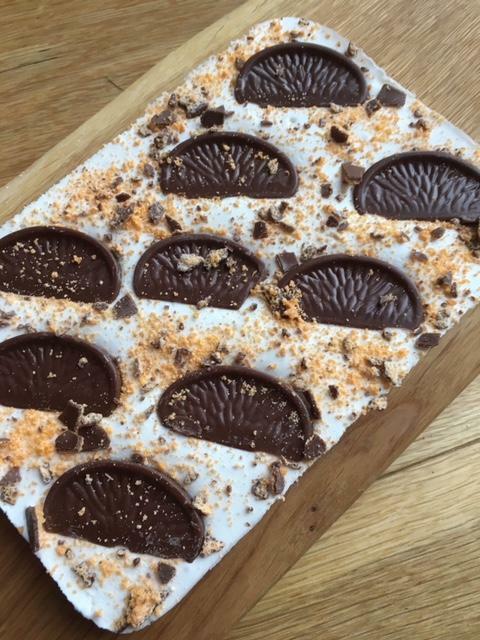 Chocolate Orange - Orange marshmallow, topped with Terry's Chocolate Orange segments, and crumbled Orange Aero. 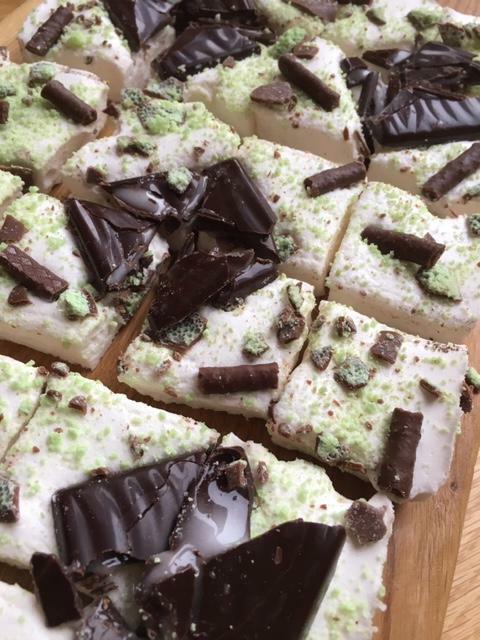 Mint - Peppermint marshmallow, topped with all your favourite minty treats. After Eights? Check. Mint Matchmakers? Check. Mint Aero? Check. treat for any time of day. 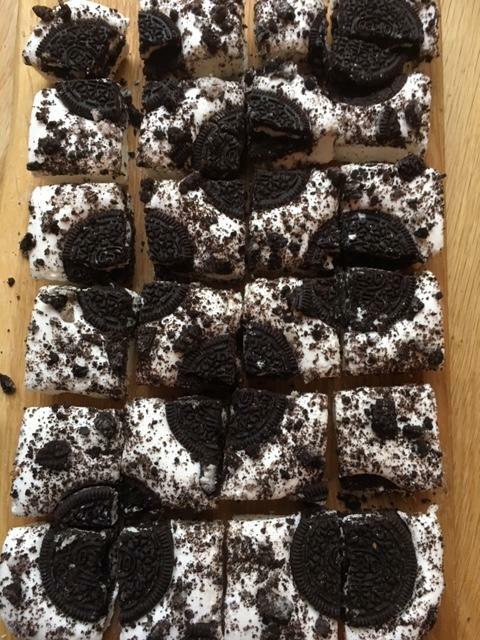 Oreo - Vanilla bean marshmallow, topped with loads of Oreo cookies, some whole, some crumbled. 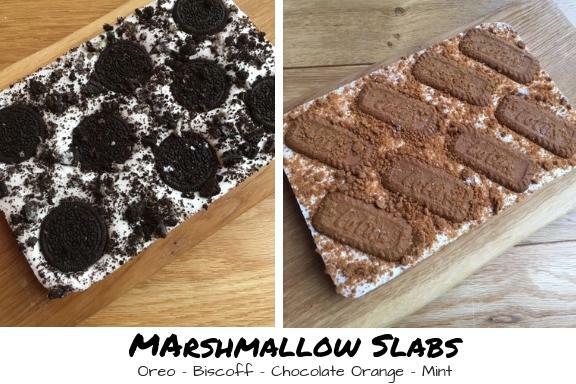 All slabs are supplied uncut, unless requested otherwise.